The Zamia genus belongs to the Cycadophyta division of gymnosperms, an ancient lineage of plants that preceded the flowering plants, flourishing during the Mesozoic Era, about 245 to 66.4 million years ago. They have crowns of large, pinnately compound leaves and have cones at the ends of the branches. Male cones produce pollen that is carried by the wind to female cones on separate plants, where fertilization occurs. 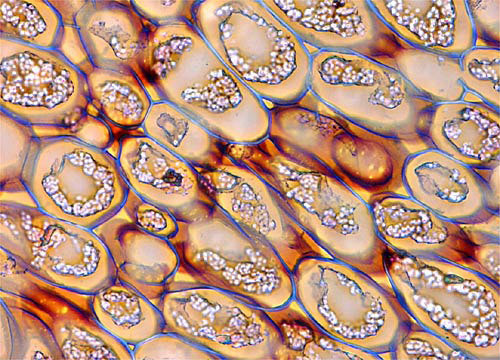 Like other gymnosperms, such as pine trees, cycads produce naked ovules in contrast to the flowering plants in which the ovules are enclosed in an ovary.